Water helps to keep hunger in check. Many people mistake hunger for thirst. Water helps to move oxygen throughout the body and delivers nutrients (energy) where it needs it most. 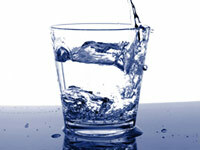 Water helps the body to stay at a healthy temperature. Water keeps our eyes, nose, mouth and skin moist. Water is free. Not only is it free of calories and sugar. It is available at no cost!